Home » Other » Smoker vs. Grill: Why is a Smoker Right for You? Smoker vs. Grill: Why is a Smoker Right for You? Grilling is a favorite American pastime, and we’re proven that time and time again by the popularity of new grill models, as well as variations. One favorite variation of the grill is the smoker, which is a favorite of barbeque fans all over America and around the world. 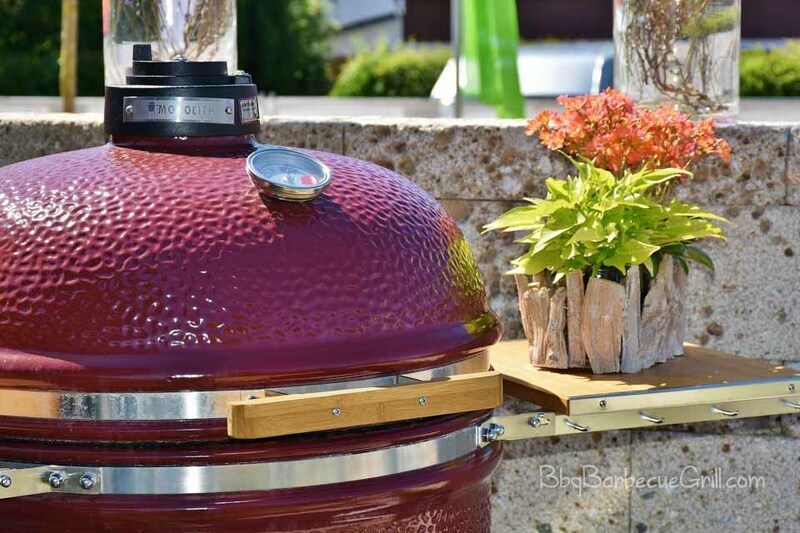 If you love to grill, you may be wondering whether a grill or a smoker is the right fit for your needs. It’s a tough decision for many! Let’s take a look at the key features and some of the most significant differences in the two pieces of equipment. So what is the difference between grills and smokers? Let’s take a look at some of them. Grills come in many shapes, sizes, and energy sources, and they’re still the most popular way to cook meat outdoors, even though times have changed. The grill used to be a solely outdoor cooking tool – you’d fill it with charcoal, light it up, and then snap on the lid if you want a smokier flavor. The first grills emerged in American culture in the early 1940’s and quickly became a symbol of “the good life” – so popular that many people had grill parties almost every weekend. Having a grill party was a typical suburban activity, filling the backyard with friends and family and sharing some of the best-cooked food available, party-style. As time went on, the grill evolved. Gas grills, electric grills, and hybrids are all now favorites on the market for families as well as individuals. Some grills are meant for backyard adventures, while others were designed for indoor entertaining. There are many choices of fuel from charcoal and woodchips to electric. The one thing that you will always have if you stick with regular grilling is many choices. Many grills on the market include temperature controls that can reach high heat temperatures, getting as high as 500 degrees. This temperature is perfect for searing food and trapping in its flavor. One of the most significant benefits of grilling is the versatility. You can cook anything from hot dogs to vegetables such as asparagus or corn on it quickly. Grilling is also much, much faster than smoking food, which is built for slow cooking methods. P.S. You CAN have the best of both worlds, if you really want it. Grilling with a smoker box on your grill can give you an authentic smoker flavor from the top of your grill. So what is a smoker grill? Smokers are exactly what they sound like – they’re a low temperature way to grill food that is full of smoky flavor. A smoker helps people who love barbeque to cook at low temperatures in a controlled, smoky environment. Just like the grill, smokers started with charcoal and graduated to wood chips, and today there are a lot of different kinds and types of smokers. Some smokers are large and meant to cook for a crowd outdoors – with a lot of smoke, but there are even small, nearly smokeless electric units on the consumer market today. Smokers can be fueled by a variety of resources, from charcoal or wood chips to gas or electricity. Can you grill on a smoker? Sometimes. It depends on the shape and the size of the smoker. You can always use a smoker box on a grill to mimic the taste of a smoker. Smokers are designed to get no warmer than about 225 degrees, and unlike a grill, they have to have the smoke to do their jobs even if your meat cooks all day. Electric smokers typically still require wood (a few models have charcoal) to generate the smoke they need. High temperatures are not needed in an authentic smoker, but some models have hybrid options that get to higher temperatures. The benefits of smokers are plenty when it comes to cooking barbecue as well as smoking whole birds like turkey or chicken. There are many reasons to choose a smoker or a grill. Grills and smokers both serve some pretty specific purposes, but because they both have flexibility, there is still a debate. Based on the following questions, you can get a feel for which type of device fits your needs. 1. How large is the group you cook for? If you plan to cook just for yourself, then you have a lot of choices, and an indoor grill might be the option. However, if you plan on cooking for 12, with only the most delicate, juicy meat, you’re more likely to want an outdoor smoker. 2. How long are you willing to wait for your food to cook? Serious question, after all, barbeque requires more patience, and everyone knows that the excellent barbecue is usually a result of long-term, all-day cooking in a smoker outside. 3. What foods do you like to grill? If the answer is a few hot dogs and burgers, consider a grill. If your answer is pulled pork, spare ribs, a whole pig, and other barbecued masterpieces, you need a good smoker. 4. What else do I want from my grill/smoker? Manufacturers are often able to offer a variety of other features, no matter what your budget range. Do you want your smoker to function as a rotisserie as well? Do you prefer the accuracy of digital temperature controls, or to have total control and cook your food in the “old fashioned” way? 5. Is it portable? If you plan to travel with your grill or smoker, you’ll want to keep set up in mind. Some grills or smokers have stands or racks that can be detached. Smoking Your Food: What Tastes Good or Works Best? Smokers are not the same as grills – they really are most appropriate for meat and nothing else, whereas you can grill plant foods such as corn or even tofu on a grill, but they won’t survive the slow-cook of a smoker. If you’re wondering what food to smoke in a smoker, the answer will always be meat and poultry. And many, many more variations of meat, poultry, vegetables and fish. I think you get the picture – smokers can cook things big and small, as long as you have patience. All Recipes has a great collection of smoked food recipes, if you’re looking for some inspiration. Smoked food taste will always vary, depending on how long you cook it and the source of the smoke. Smokers have different types of flavoring, including special wood chips, charcoal or even lava rocks. Because of this, the food you’re eating is always going to end up tasting different until you have perfected your main dish through trial and error. Ever Thought of Going Pro? Communities often host barbecue events such as a smoker party where everyone competes for a prize, and the public can buy tickets to the smoker event. Thousands attend these smoker events every year in the Southern United States. There are also “smoker fights” where some of the best-barbecued food in a county or state battles for a top prize. 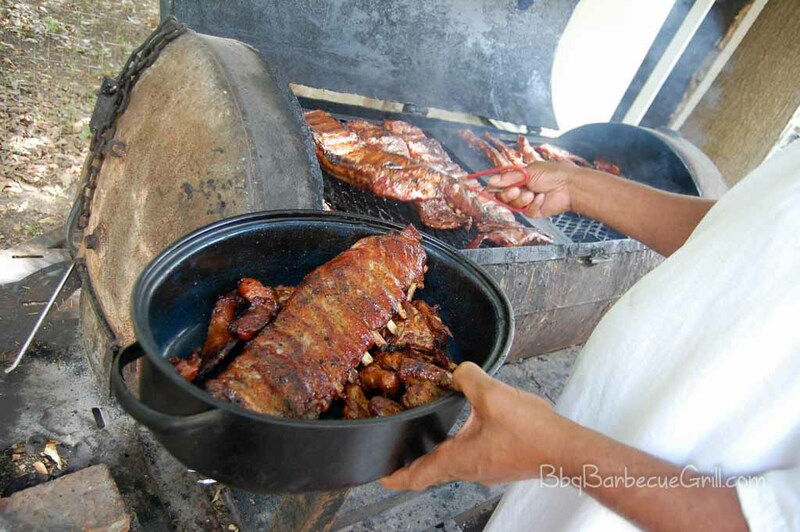 In Arkansas, an elaborate smoker party serves 400 pounds of barbecued beef churned in a smoker for 24 hours. The annual event has a star-studded cast of politicians, political hopefuls, local celebrities and a raccoon who is the mascot for the event. Florida has an annual smoker competition as well. Named “Smokin’ in the Square”, the annual cook-off benefits charity and has hundreds of attendees who pay to taste the competition’s food. The person who wins first place gets a commercial-sized smoker worth about $300. There are a lot of ways to get attention for your cooking that don’t involve directly competing. You can also get a vendor permit in cities like New York and Washington D.C. to feed the hungry masses on warm and cold days – just remember that you’ll need a smoker that takes up a lot of space. 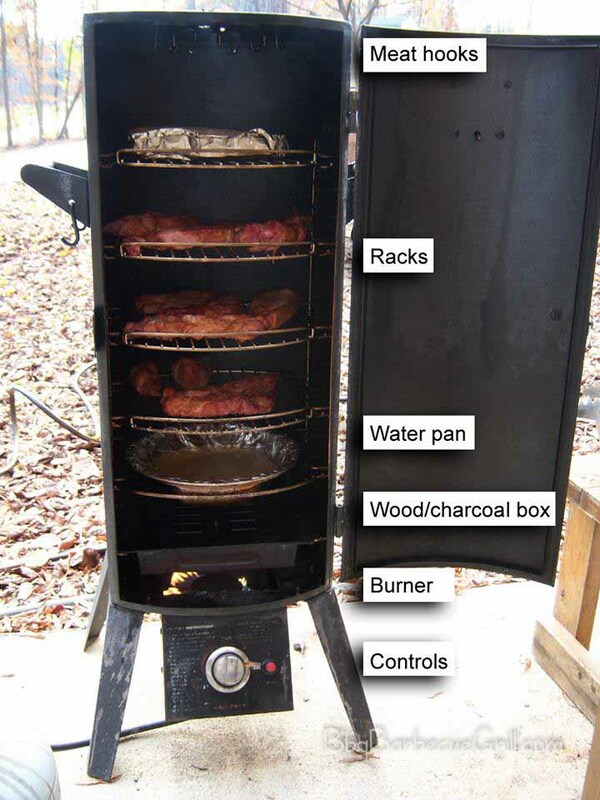 Whatever your reason for buying and using a smoker, make sure that you like the equipment you’re using. If your smoker is annoying or complicated to use, you may need to up or downgrade. This is why you should take time to really look at all of your options before you settle on the perfect smoker for your home.